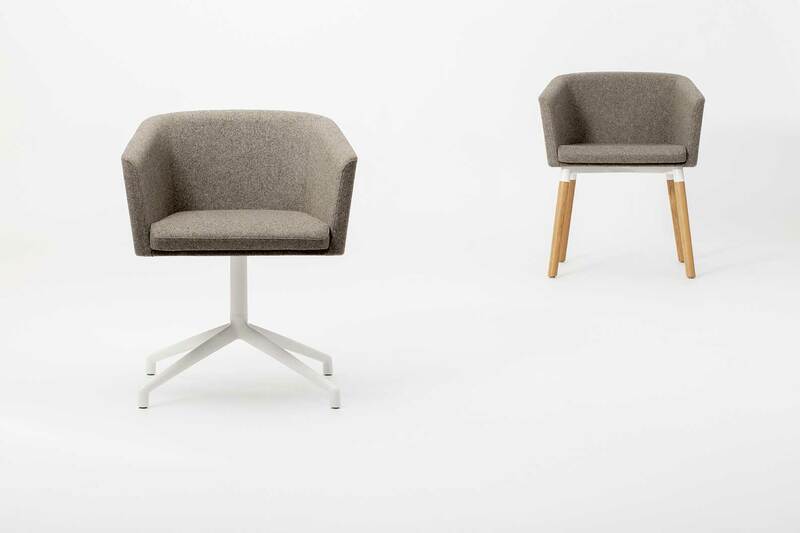 A multipurpose chair programme with two sizes of seat and a variety of frame types. 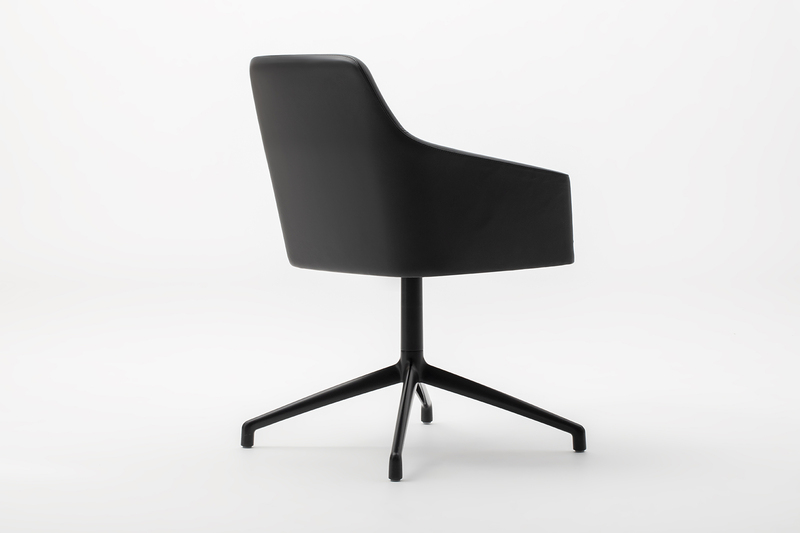 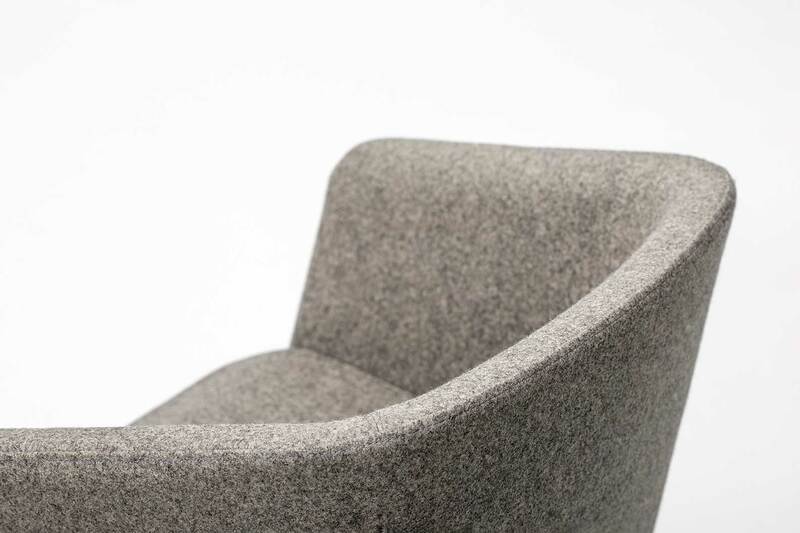 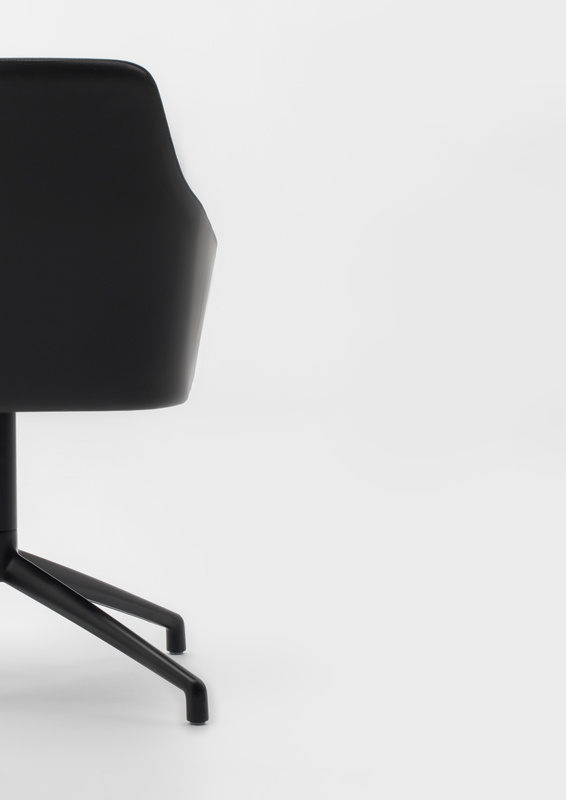 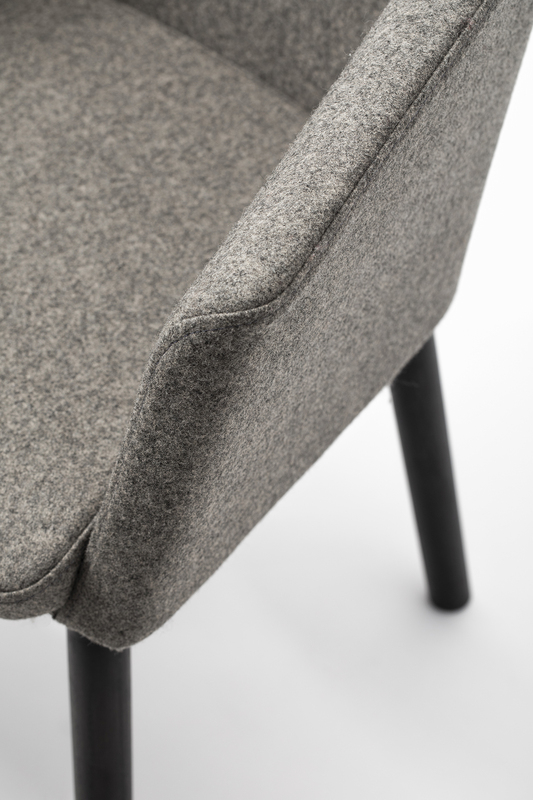 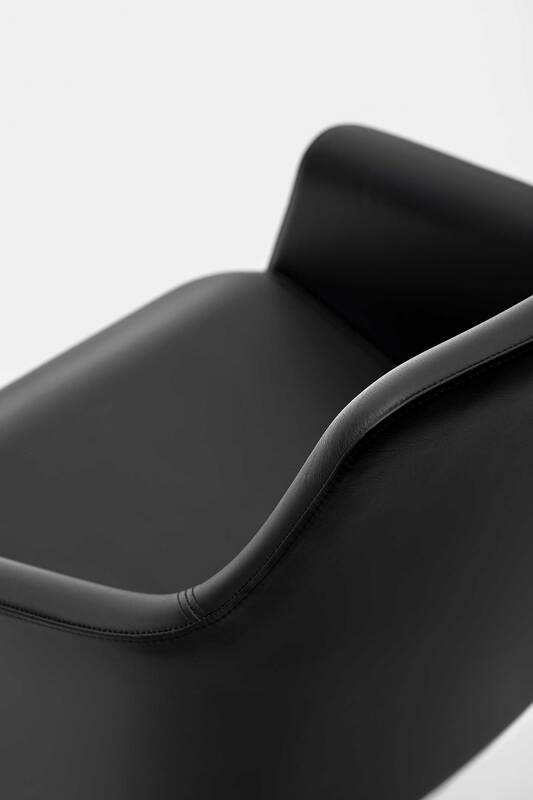 The chair is characterised by a simple, elegant profile and an attention to detailing. 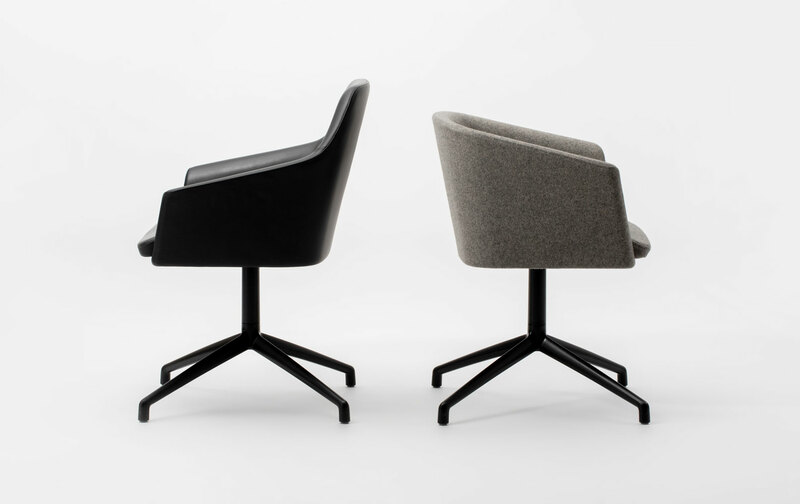 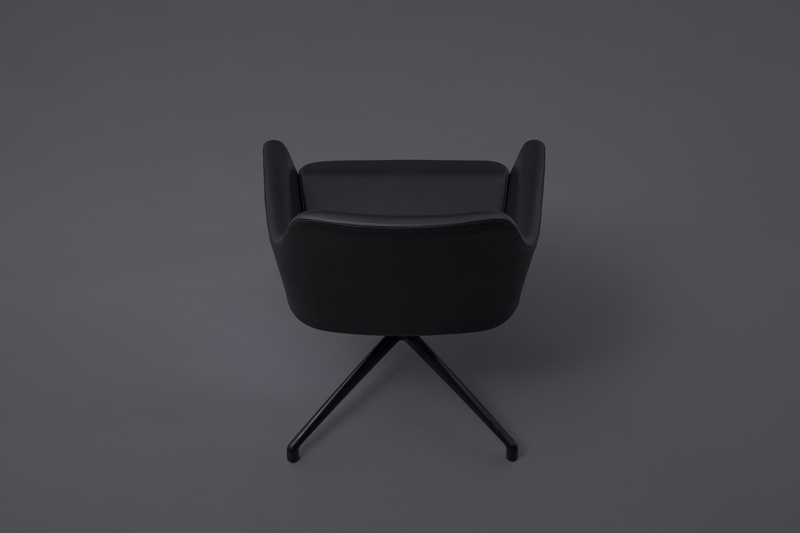 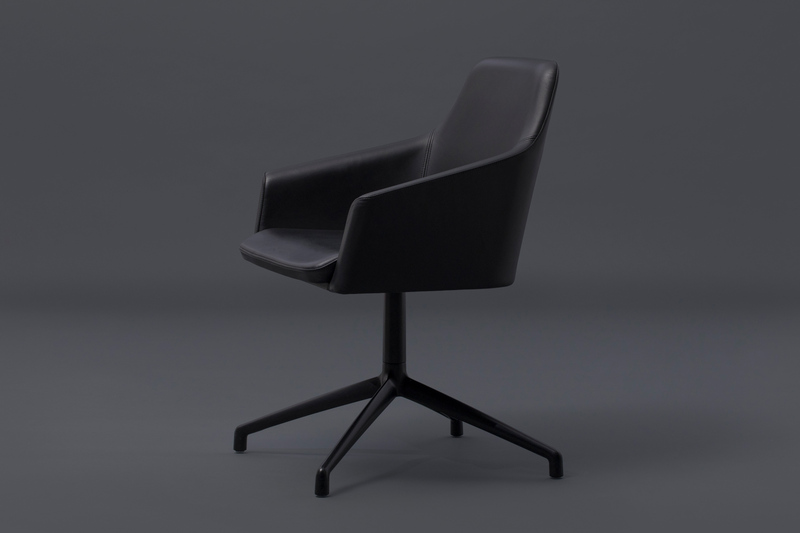 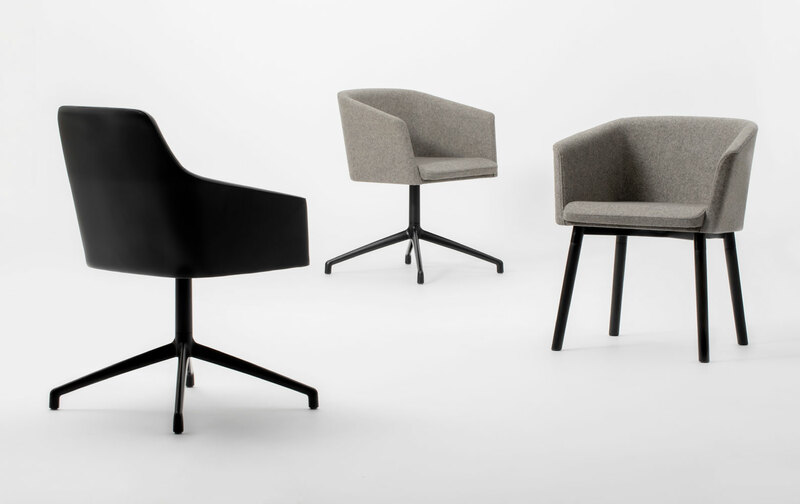 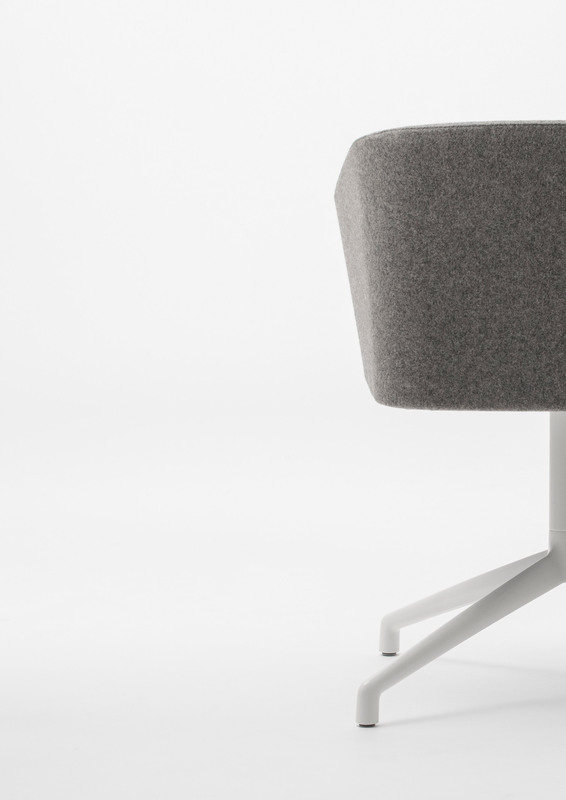 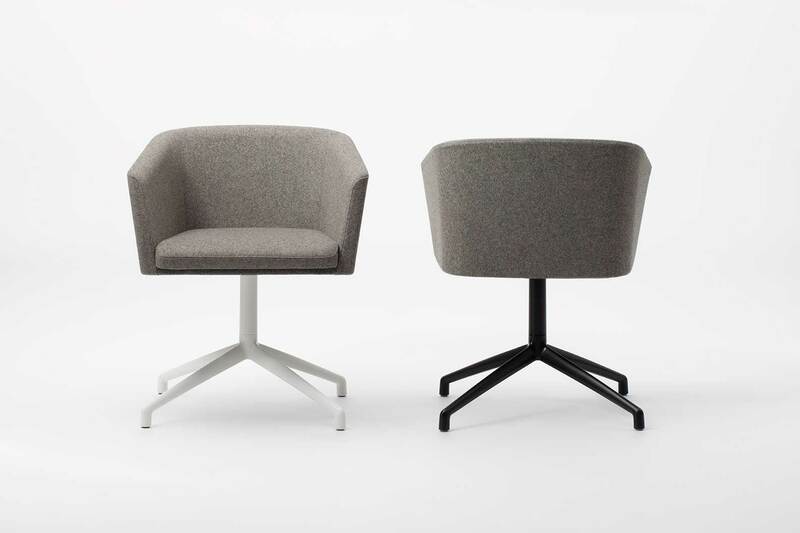 From the same overall shape and footprint, two individual variants of the chair are created, a high back version, and a more casual variant with a lower back. 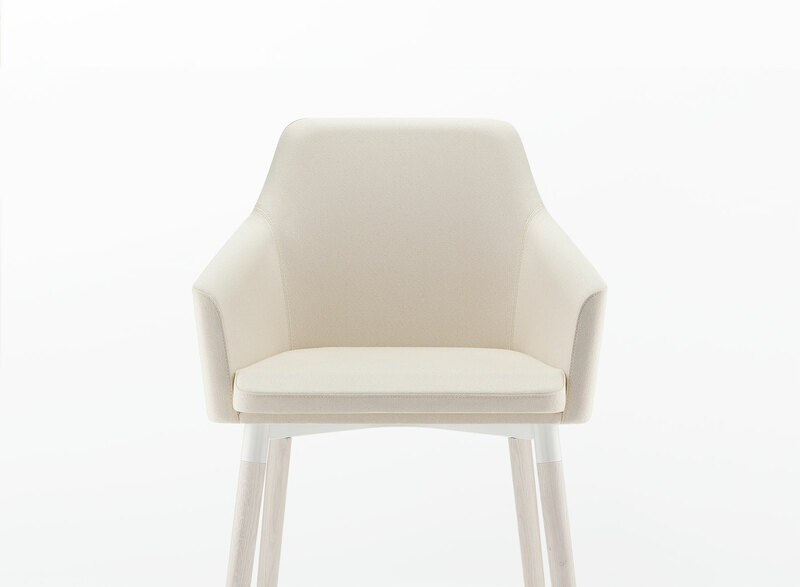 There are a series of base options….a 4 or 5 star die-cast central pedestal with tilt option, a 4 legged wooden frame and a 4 legged steel frame.